Sina Companies announces the development of an inpatient rehabilitation hospital in Las Vegas, Nevada. The development is located on their 24 acre Centennial Hills Center campus in northwest Las Vegas. Construction began on the 56,220 square foot facility in September of 2016 with completion expected in the fall of this year. Sina Companies is providing all development and construction management services for the project. 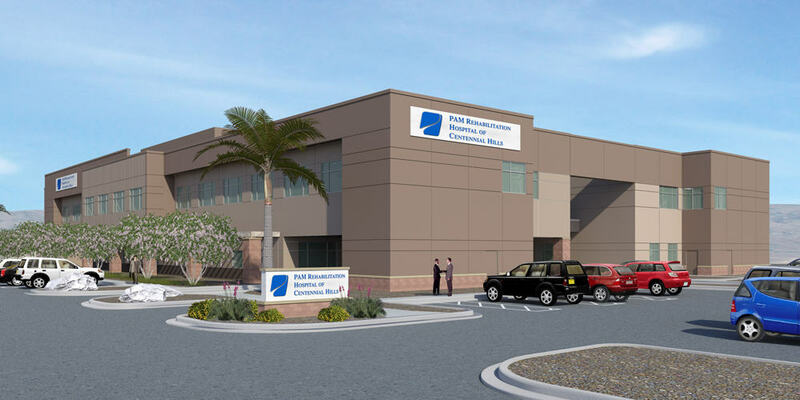 The 44-bed facility is 100% net leased for a 20-year term to PAM Squared at Las Vegas, LLC, a wholly owned subsidiary of PAM Squared, LLC. Post Acute Medical, LLC (based in Enola, Pennsylvania) will provide a corporate guarantee of the lease. Post Acute Medical was founded in 2006 and operates 31 hospitals across the country including Specialty Hospitals, Rehabilitation Hospitals and Surgical Hospitals. Sina Companies’ capital partner on the project is Carter Validus Mission Critical REIT II, Inc., a public, non-traded company based out of Tampa, Florida. Carter Validus acquired the land and is financing the approximate $24 million development project. Carter Validus Advisors II, LLC has an established relationship with Post Acute Medical resulting from seven prior acquisitions. This is Sina Companies’ first project with Carter Validus and Post Acute Medical. The project will be named Post Acute Las Vegas Rehabilitation Hospital.